Prosecco Parties - order tickets and get a chance to win FREE drinks ALL night! We've teamed up with Prosecco Parties to tell you about their great Prosecco and Gin parties coming up next month. It's a celebration of Prosecco, and all the fabulousness it brings to our lives. Experience a fantastic party atmosphere with a cool chill out vibe, amazing resident DJ, great music, spacious dance floor, stunning scenery in an incredible themed venue, and not forgetting a never ending supply of Prosecco! The great thing is there is Prosecco, Gin and cocktails. 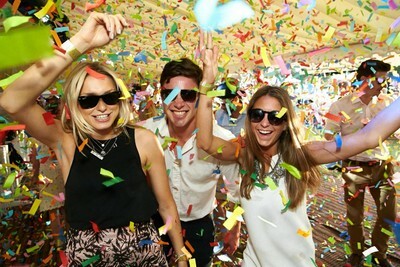 You should expect the ultimate party night but with a focus on amazing Prosecco and gin drinks. This is not a festival, this is a new concept, it's a party night rather than there being lots of producers there showing off their brands etc. A chance to let your hair down and have fun with your friends. I'm in love with their "Pimp Your Chips" station concept - think a bowl full of the best fries with a variety or sauces and toppings to make your very own “soak me up”! I hope they have cheese, my favourite topping! Any tickets purchased this weekend will automatically enter you into a draw to win a MAGNUM of Prosecco at your chosen event and FREE DRINKS ALL NIGHT for you and 5 friends! 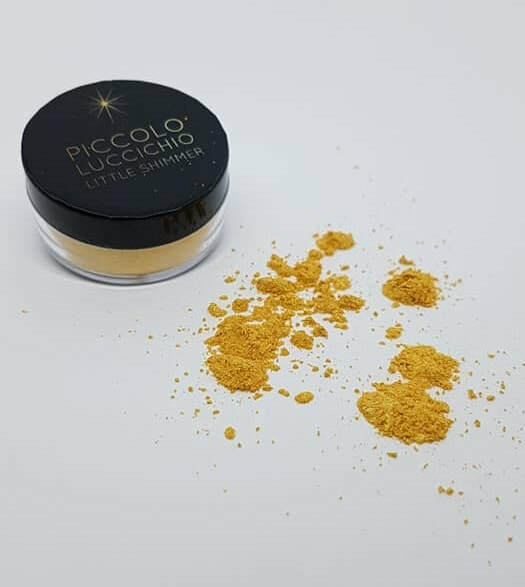 Locations are Prosecco Parties Reading, Prosecco Parties Billericay, Prosecco Parties Milton Keynes Prosecco Parties Nottingham and Prosecco Parties Windsor and these links will take you directly to each Facebook page. 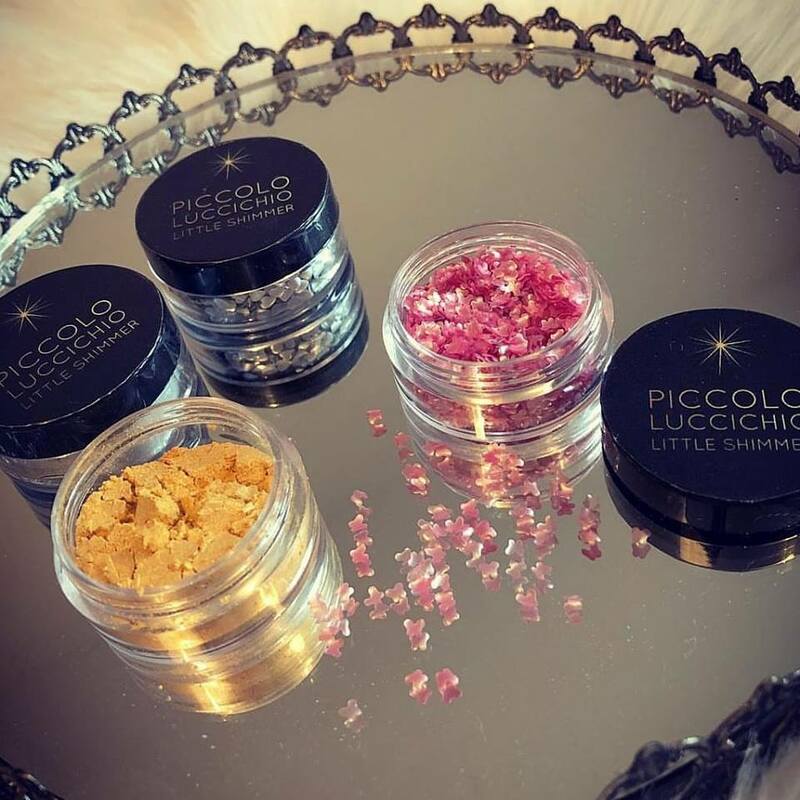 Princess P Prosecco Subscription Box! This month we have been lucky enough to work with a new business that suits us down to the ground, as we have a mutual love of Prosecco. Princess Prosecco, or Princess P for short. 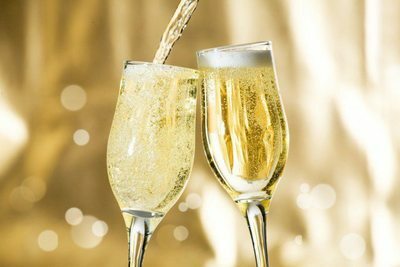 They have come up with a fab idea, a monthly Prosecco subscription box. They also sell gift sets too. Each months box has a theme based on the colour of that months birthstone and includes a full size bottle of Prosecco, a miniature spirit bottle to create 2 cocktails, a cocktail card to start your own recipe collection, a couple of yummy snacks, and an indulgent pamper treat and a surprise too. The box is branded and has a lovely message inside, and the contents are beautifully wrapped. Whilst the branded bottle of Prosecco chilled in the fridge, I unwrapped the contents of the gift box. The contents are really charming, and would make a perfect gift either for yourself or a loved one. This month as you can see from above, there are some real treats. I adore mug cakes, and will be taking this one to work next week. The cocktail card is fab, and I'll also be trying out the two cocktails as all the ingredients are included - easy peasy! Their are a few subscription options, either 1 or 2 bottles of Prosecco and you can pick between classic and premium (organic and vegan friendly). 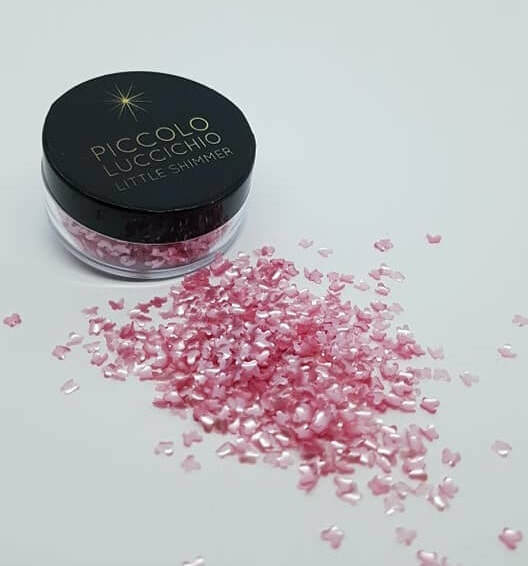 You will also get a 50ml miniature bottle together with a collectable Princess.P cocktail card (also vegan friendly). You only pay for the months you chose, and you’re free to amend, pause or cancel your membership at any time. Get 10% off the September box by quoting code WATCH10OFF at checkout! Win Tickets to Prosecco Springs courtesy of Mionetto Prosecco! 3 pairs of tickets up for grabs to the Prosecco Springs Festival 26th-29th April in London courtesy of Mionetto Prosecco! 1 pair for Thursday, Friday and Sunday available, so 3 winners will be selected, 1 for each day. Each ticket includes 8 drinks and access to the Oval in London. Mionetto Mo Collection Valdobbiadene Prosecco Superiore DOCG Review! This week I have been lucky enough to sample the Mionetto MO Valdobbiadene Prosecco Superior DOCG. The Mionetto MO collection embodies elegance, made in the DOCG zone, this Prosecco oozes quality. The bottle is incredibly elegant and stylish, with the MO logo raised on the front from the glass, and a swing tag giving a description of the Prosecco, how to serve and details of its taste, (in Italian, those lessons are paying off). I really like the Mionetto range anyway, and the Orange label bottle is my go to bottle if I see it in store, so I was really looking forward to trying the premium range from them. I can honestly say I was not disappointed. As you can imagine, I have tried ALOT of Prosecco, some poor, some average, most nice, and a handful truly delicious. I would put this one up there with the truly delicious, as it is crisp, fresh, delicate, and reminds me of the spring (much needed here at the moment)! A beautiful straw yellow colour, with a floral, apple like fragrance, this is so easy to drink. The bubbles seemed smaller and more delicate, although no less fizzy in this Prosecco, which adds to the premium and elegant feel. I tried this first, whilst cooking, then with my evening meal, which was pasta and pesto, and it complimented it perfectly. It was lovely on it's own, and worked so well with the food too. The sleek design really is a selling point for me, as this would be a fabulous gift to give or receive. I would say this is a step up from your standard everyday Prosecco, and definitely worth trying. I also just wanted to add - I expect you are thinking, oh this is a sponsored post, she is not going to say it's not very nice etc, but any Prosecco I am sent to sample and I don't like, I don't write the review. Simple. I'm not going to be negative about a product as everyone's taste is individual, but I will only review things I genuinely believe in, and I like this! 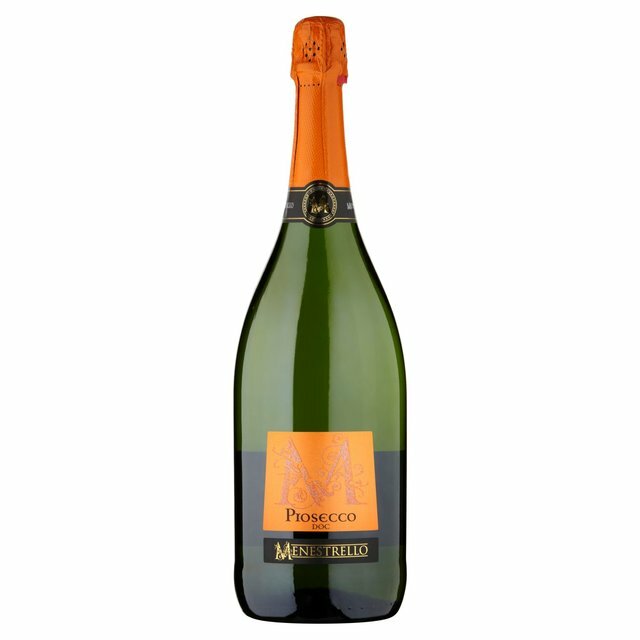 You can currently buy this Prosecco from Majestic Wines here, on offer at £10.99 from £14.99! Prosecco and Mushroom Pasta 'n' Sauce! The Prosecco craze is continuing, this time with pasta. 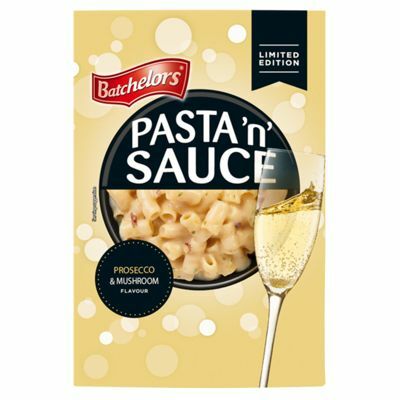 Batchelors have released this limited edition Prosecco and Mushroom flavour Pasta 'n' Sauce. Social Media comments so far are very positive, with many saying Pasta and Prosecco - their two favourite things rolled into one! I've not tried it yet, but you can get it in Asda for 75p! 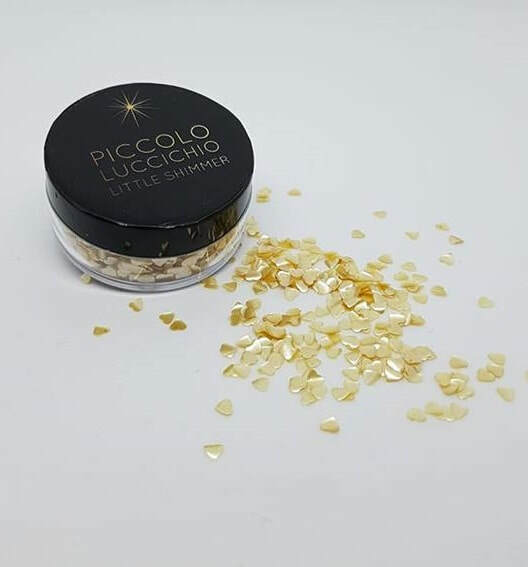 New Low Calorie Low Sugar Petite Prosecco Launches! It's that time of year, Dry January has ended, struggling with diets, rubbish weather.... the list goes on! Well with the launch of Petite Prosecco, a new low sugar Prosecco, you can your favourite drink, guilt free! 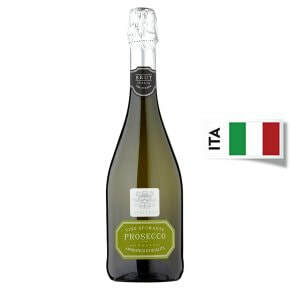 Petite Prosecco contains just 59 calories per 100ml glass (less calories than an apple) and just 6 grams of residual sugar. Which is great considering the average glass of Prosecco contains 80 calories. Lately the only slimming choice when drinking seems to be ‘gin and slim line tonic’, so it's a refreshing change to see another option! The company aim to give Prosecco lovers the same great taste but with less of the calories and sugar content found in a usual, standard bottle. Petite Prosecco is developed straight from the Italian town Treviso, DOC, home of Prosecco and the best grapes in the business. Petite Prosecco is created with every Prosecco admirer in mind, being the lowest calorie Prosecco on the market. Each 75cl bottle contains an alcohol volume of 10.5%, 7.9 UK units and is completely vegan friendly. 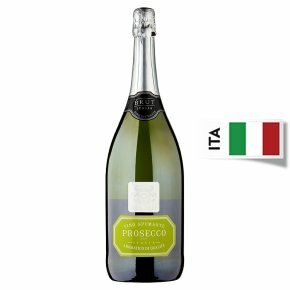 Asda Prosecco 6 Bottles for £25! 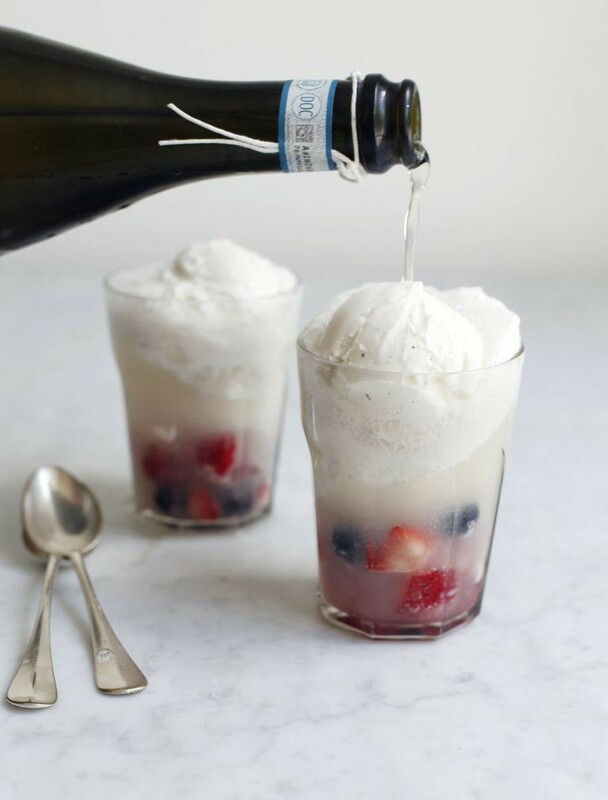 Great news for Prosecco Watchers everywhere! 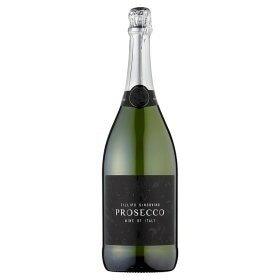 This morning Asda are selling 6 bottles of their Yellow Label Prosecco for just £25! This 6 case deal would normally cost you £36, and takes the bottle price down from £6 to just £4, saving you £11! Sources suggest this deal will be online too, and will only be around until stocks last, so you'd better get stocking up for Christmas! Morrisons Black Friday Canti MAGNUM £10! It's big and it's back! Morrisons have launched their Black Friday deals early, and this HUGE Magnum of Canti Prosecco is now available in store AND online for only £10! This Magnum is 1.5L, the equivalent of 2 standard size bottles, and works out as the cheapest deal out there at the moment! 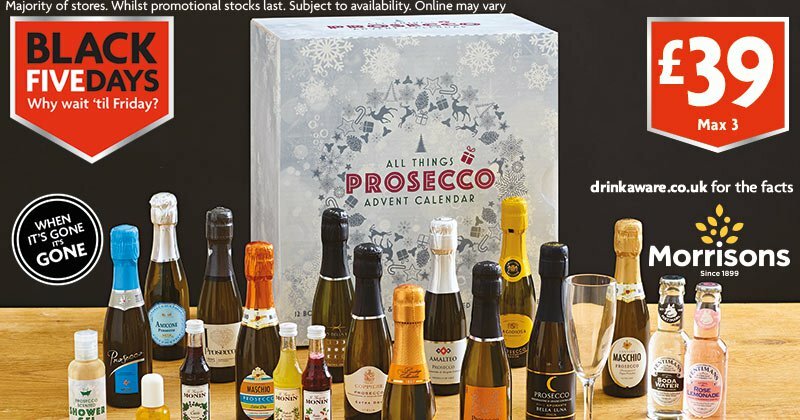 ​We all love Prosecco, and this lovely box of goodies from Lakeland is the perfect gift for the Prosecco lover in your life (or yourself)! Great news! 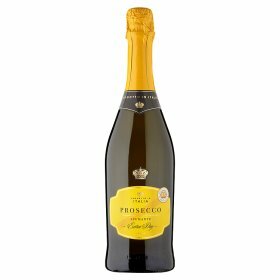 The Asda Yellow Label Prosecco offer is still live. It was advertised as finishing on Wednesday 1st November, but it's still live on their website this morning! I am often asked about the calories in Prosecco. It's coming up to the festive period and if, like me, you want to lose a few pounds - you might want to read on, and find out how many calories are in that glass (bottle) of Prosecco! If you are following a plan, then Weight Watchers Smart Points is 4 points for a 125ml glass and Slimming World is 5 syns for a 125ml glass. If you are calorie counting then there are 86 calories per 125ml glass, or if you go for one of the reduced sugar varieties, it's around 67 calories per glass. ​I hope this helps a little, and cheers! £1.50 Prosecco Trick is Back in Sainsbury's! Step 1: Find a cheap prosecco at Sainsbury’s. Step 2: Sainsbury’s also has 25% off six bottles. Buy any six bottles for delivery until 31st Oct, and you’ll automatically get a 25% discount. Delivery online is £1-£7 (or free if you collect in a store). It’s at this point that existing online customers can’t go any further as the code below is for newbies, but the deals above from £4.50 per bottle are still decent. Step 3: Now for the big trick – if you’re new to Sainsbury’s grocery online, boost the offer further with an £18 off £60 code. IMPORTANT: You’ll need to buy groceries you’d buy anyway AND have your order delivered/collected before 11pm on Tue 31st Oct for this to work. Use the code AFFVCOCT18 and you’ll get £18 off when you spend £60* (code expires Wed 8 Nov). In plain speak, it means you’ll need to spend a minimum £60, of which at least £18 needs to be stuff other than booze for it to work. So how do you get it for £1.50? If you go for the Sainsbury’s Prosecco Frizzante, it’s £27 for 6 bottles, so you’d need to spend £33 on groceries to reach the £60 minimum spend. Then with the £18 off, it’s £42. As you’ve spent £33 on normal groceries, it’s £9 for the six bottles of prosecco, or £1.50 per bottle (plus delivery if you can’t pick up in a store for free). All these discounts should show up in your basket before you pay – if not, something’s gone wrong. Step 5: Change your substitution preferences to avoid any surprises. If you only want the cheapest prosecco, make sure you untick the box which says ‘allow substitutions’ when you order, as that way if it’s not in stock, you’ll just get your groceries, not a pricier bottle of booze, which has happened to some in the past when using this trick. And when your delivery arrives, make sure you check what you have received with the driver. If you do receive substitutions, you can choose whether you want to accept them or send them back. Winner will be selected at random at 8pm on Monday. Not associated with any Social Media platforms. Buy any six bottles for delivery between Wed 27 Sep and Tue 3 Oct, and you’ll automatically get a 25% discount. IMPORTANT: You’ll need to buy groceries you’d buy anyway AND have your order delivered/collected before 11pm on Tue 3 Oct for this to work. Make Your Own Mysecco Kit! Yes, you did read that correctly! Make your own Mysecco sparkling wine at home! Made by Victor's Drinks and called Mysecco – the World’s first make-your-own single bottle of sparkling wine! Simplicity in a bottle, just add water and you can create a delightfully fresh & crisp sparkling wine with delicate citrus notes in 14 days. Put simply, the MySecco Kit lets you turn water into wine! You can buy this kit for £19.99 from Firebox, Argos and Amazon amongst others! I've been lucky enough to try out a great new product, called zzysh®. It's called this because of the noise it makes when you use it. Intruiged to see how it works, and more to the point, if it works, I am now happy to write a review based on my findings! The statement on the packaging makes some bold claims, that zzysh® ensures that your sparkling wine retains it's quality, even weeks after the bottle was first opened. Glass after glass." The unique technology replaces the air in the wine bottle or pressurizes it, if it’s sparkling wine. This with a highly pure protective atmosphere consisting of argon for wine or a mixture of argon and carbon dioxide for sparkling wine. In combination with the stopper, this works to protect the wine and sparkling wine from oxidation, ensuring flavour, taste, fizz and colour are all retained. The packaging and product are incredibly attractive and elegant. I found it very simple to use, and the instructions were very straightforward. You unscrew the main unit and screw the little gas bottle into place. You then place the stopper on your bottle, clip into place, and press the gas handle on top for 3 to 4 seconds. You will hear a "zzysh" sound, telling you that it is complete. That's it - your fizz is sealed and will remain fizzy - that simple. I have tested this out firstly over a 24 hour period, then also 7 days, and when you take the seal top off the bottle, it pops like when you first take the cork out - this genuinely works! They also have a stopper for red and white wine too - if you haven't finished the bottle. They are different for wine and the zzysh® Wine cannot be used for champagne and vice versa. 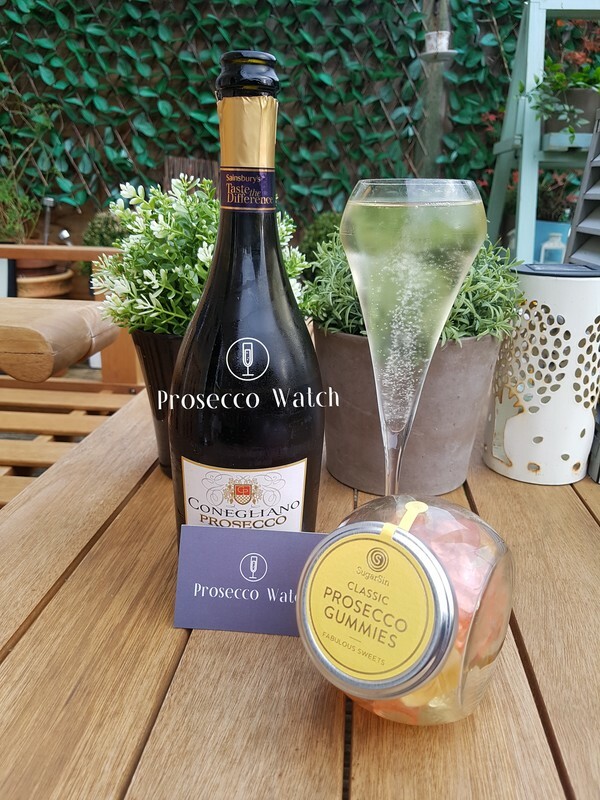 zzysh® have created an exclusive code for Prosecco Watchers, offering 20% off - the code is "getyourzzysh" and needs to be entered at check out. This code is valid for the wine or champagne starter kits. *This is a sponsored post with zzysh® written by me - the opinions are all my own. Sometimes I really love running Prosecco Watch, especially when I have the pleasure of trying this little beauty from Furlan, very kindly provided by Just Perfect Wines. It's not allowed to be called Prosecco, as it's pink - but it sure tastes like it, and is pretty much the same in everything but name. It is produced in the same region, and uses the Glera grape, along with Manzoni Bianco and Cabernet Sauvignon grapes - and even came out top at a recent Prosecco tasting event of 90 people! (I can understand why). It smells so fresh - Strawberries, fruity, light. The colour is just beautiful - a pale delicate pink, with a lovely sparkle. An elegant bottle - it looks so pretty in the branded Furlan glass too! On tasting, it's quite dry - which I love, and it goes so well with food too. Fruity, pear notes and light bubbles leave you wanting to sip away again and again. Some Prosecco can be quite sweet, but this one really hits the spot for me - it's oozes quality and class. I was also lucky enough to receive some branded glasses to sample this in - and they are excellent quality, and really bring out the aroma and flavours in this Rose. 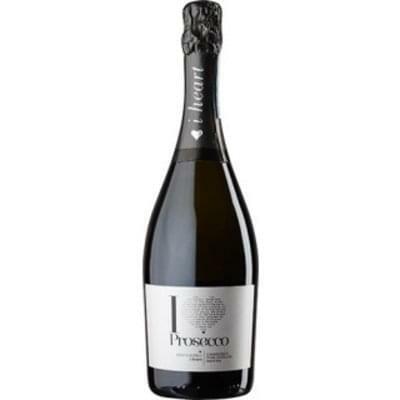 We are very lucky, Just Perfect Wines have created a special offer just for Prosecco Watchers! This Beautiful Rose is £17.99 per bottle, and is being offered in a case of 6, and comes with a FREE case of 6 Furlan glasses worth £49.95! The perfect partnership - Rose and Prosecco Glasses! These Furlan branded Prosecco glasses are especially designed for Prosecco and sparkling wine. The wider bowl helps the aroma and flavour develop fully. The "V" in the bottom of the glass has a nucleation point (etched) which helps the bubbles form beautifully. They are even dishwasher proof too! To top this off, you also get FREE SHIPPING too. It's all about the MAGNUMS! As most of you who follow my pages will know, I update all the Prosecco offers around the supermarkets every Friday. Well this week, it seems to be all about Magnums. There are a selection on offer, so I thought I would put them all together here, so if you are planning a weekend in the sunshine, you know what's on offer and where! ..........and if you are feeling flush and want to impress your friends, look no further than Marks and Spencer for this Jeraboam, at £50 it's not cheap, but it is equal to 4 bottles of your standard 75cl Prosecco. As you can see below pictured next to a normal bottle, it's huge! Now, I just need to clear all the food our of the fridge to fit this in!